JONESBORO, Ark. (11/20/18) – Arkansas State head coach Mike Balado announced today that three prospective student-athletes have signed National Letters of Intent to play basketball for the Red Wolves. 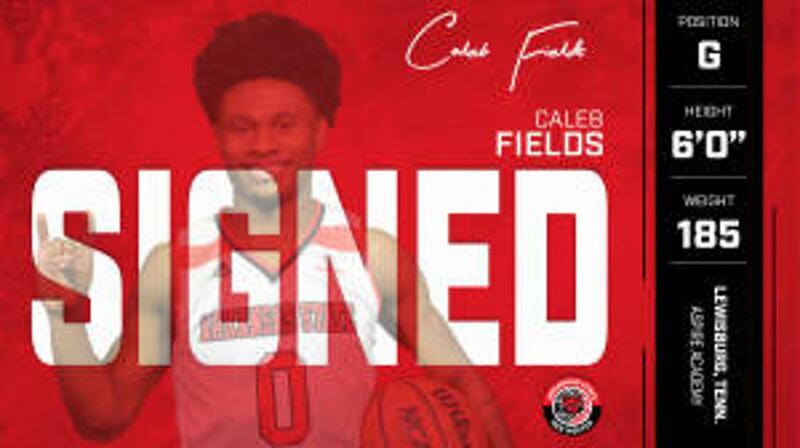 Guard Caleb Fields (Lewisburg, Tenn.), guard Malcolm Farrington (West Palm Beach, Fla.) and forward Antwon Jackson (Las Vegas, Nev.) each signed NLI's to join the Red Wolves' program for the 2019-20 season. An athletic and speedy point guard, Fields is in his second season at Aspire Academy in Louisville, Ky. As a junior last season (2017-18) with the Wizards, Fields averaged 10.3 points on 44.6 percent (58-130) shooting. He pulled down 3.6 rebounds per game while dishing out 124 assists (6.5 APG) against 64 turnovers in his 19 games played. Prior to his time at Aspire Academy, Fields was ranked as one of the top players in Tennessee by multiple publications. Fields shined in summer ball for Adidas Team Carroll Premier in which he averaged 11.3 points, 3.7 assists and 2.7 rebounds while shooting 49 percent from the field over 12 games played.